In a post on his personal Facebook page, Zuckerberg said it would investigate thousands of apps that used large amounts of data at the time. 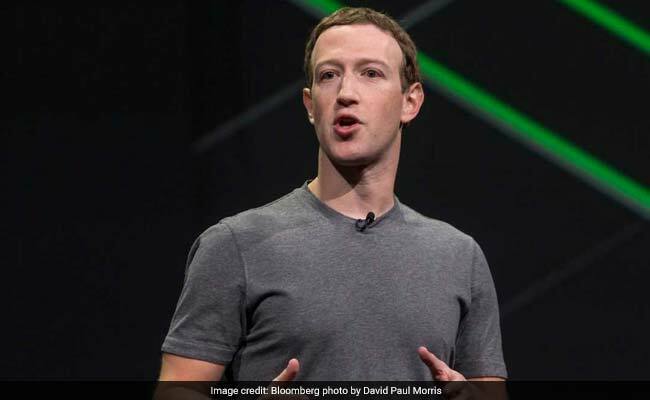 Mark Zuckerberg on Wednesday said Facebook will audit thousands of apps in response to the "breach of trust" created by Cambridge Analytica, the chief executive's first comments since a crisis erupted Friday over data siphoned by the political marketing firm used by the Trump campaign. In a post on his personal Facebook page, Zuckerberg said the company would investigate thousands of apps that used large amounts of data at the time. He said Facebook will give users easier access to tools to manage how their data is being used and shared, and will further restrict developers' access to data to prevent abuse. "I started Facebook, and at the end of the day I'm responsible for what happens on our platform," he said. ". . . While this specific issue involving Cambridge Analytica should no longer happen with new apps today, that doesn't change what happened in the past. We will learn from this experience to secure our platform further and make our community safer for everyone going forward." 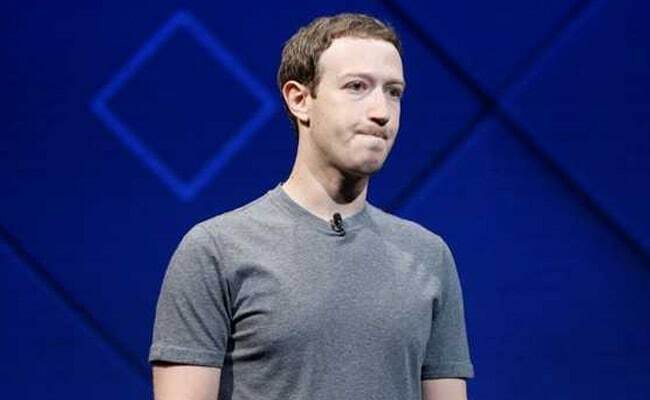 Specifically he said the company will restrict the data that third-party developers can access to names, profile photos and email addresses, and will require developers to sign a contract before being allowed to ask Facebook users for rights to their posts. The company will post a new feature on the top of every Facebook user's news feed with a list of the apps they have used and an easy way to revoke the app's access. Until now, Facebook's top executives have been mum on Cambridge Analytica. Zuckerberg's last Facebook post was from early March, when his sister photographed him baking cookies at home for the Jewish holiday Purim. Sheryl Sandberg, Facebook's chief operating officer, posted on Saturday from her child's school debate. Facebook suspended Cambridge Analytica on Friday for having obtained data on as many as 50 million users in an unauthorized way. This week, Facebook said it would audit the firm to determine whether it had deleted the data. Mark Zuckerberg said Facebook would investigate thousands of apps that used large amounts of data. But the executives' silence seemed to attract more attention to Facebook's woes - especially after neither Zuckerberg nor Sandberg appeared at a company town hall meeting Tuesday. News organizations published articles asking when they would speak. A #DeleteFacebook campaign gained more momentum after Brian Acton, who made millions after Facebook purchased his app WhatsApp in 2014, said he was deleting the social network. After the Tuesday meeting, employees posted on social media about how demoralized they felt. In an app for anonymously discussing the workplace, Blind, which requires a corporate email address to join, a Facebook employee posted, "Is this how the downfall of Myspace happened?" Another person wrote, "I just keep thinking about my stock going to zero with all of this." Others asked for advice about whether they should sell their stock and said they would advise recruits against joining the company. Meanwhile, Facebook users began to comment that there were no articles about Cambridge Analytica on Facebook's trending-news feed, a feature that showcases news stories on the right-hand side of the Facebook website, until late Tuesday afternoon. (Articles about Uber and Amazon.com were on the feed for much of the day.) And business case studies about the company's efforts to assist political campaigns such as those of Barack Obama and Sen. Bernie Sanders, I-Vt., were no longer indexed on the company's website. Meanwhile, lawmakers reiterated calls for Zuckerberg to testify. Congress could ultimately choose to subpoena Zuckerberg or others like Chief Operating Officer Sheryl Sandberg to press them to speak. But lawmakers seemed to signal they aren't yet ready to issue that threat. "We haven't crossed that bridge yet," said Republican Sen. John Thune, the leader of the Commerce Committee, during an interview Tuesday. His panel recently sent Facebook a list of questions about its dealings with Cambridge Analytica, and staff will question company leaders privately Wednesday. A hearing has not been formally announced. In his post, Zuckerberg said steps that the company had taken to restrict developers' access to data in 2015 would prevent the type of misuse that had taken place. Through an affiliated psychologist named Alexander Kogan, Cambridge Analytica convinced 270,000 users to download an app that they thought was a personality quiz. They then took advantage of Facebook's lax data permissions at the time to gain data on the friend networks of those 270,o00 users. That enabled Kogan and Cambridge to access data on potentially 50 million Facebook users. Though Cambridge and Kogan violated Facebook's policies by misrepresenting themselves - users were told that data that was taken for political marketing was being used for a personality quiz app - thousands of third party developers benefited from Facebook's loose rules at the time. The list of developers who siphoned friends' data includes gaming companies, dating apps, researchers, and even Obama's 2012 presidential campaign, as The Washington Post reported Monday. In his post, Zuckerberg acknowledged there had been a breach of trust - not only between Cambridge Analytica, the Cambridge psychologist and Facebook, but "between Facebook and the people who share their data with us and expect us to protect it," he said. Zuckerberg's apology is only his latest major culpa. He apologized for Facebook's role in spreading Russian disinformation. In January, he announced that his annual New Year's personal challenge, which in other years entailed learning mandarin or building artificial intelligence, would be to fix Facebook.